Delegates and exhibitors attending the AsiaPacific Incentives & Meetings Expo (AIME) in Melbourne next year will be offered exclusive discounts at more than 20 prominent restaurants on the evneing of February 17. Delegates and exhibitors attending the AsiaPacific Incentives & Meetings Expo (AIME) in Melbourne next year will be offered exclusive discounts at more than 20 prominent restaurants on the evening of February 17. 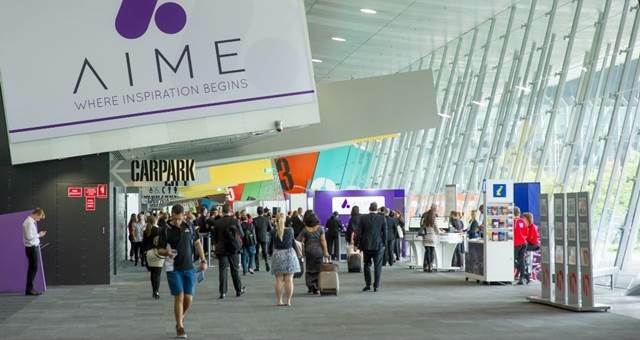 The Dine Around Melbourne program — an initiative of the Melbourne Convention & Visitors Bureau (MCVB) — has become a popular addition to the AIME expo in lieu of a traditional gala dinner night. AIME acting event director, Elizabeth Sarian, said the program has proven popular in recent years. “The Dine Around Melbourne program adds another dimension to networking opportunities at AIME. This program allows the AIME community to develop business opportunities in a relaxed environment and at the same time experience Melbourne dining at its best,” she said. The discounts are available only on the evening of 17 February, 2009. Bookings are recommended and an AIME badge must be shown on arrival at the restaurant to receive the special offer. A number of Melbourne hotels are also supporting the program, including Amora Hotel Riverwalk Melbourne, Citiclub Hotel, Crowne Plaza Melbourne, Hilton Melbourne Airport, The Langham Hotel, Jasper Hotel, Park Hyatt Melbourne and The Westin Melbourne, among others. For more information on the dining program, click here. MCB puts EOI out on AIME 2019 - 2020.